Camping Puglia - looking for a campsite? Search here! 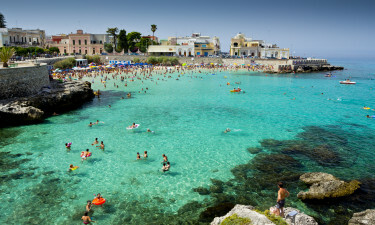 Puglia is a region of Italy known for its warm waters, inviting Mediterranean breezes and stunning views of nature. Those who are looking for holiday camping sites within Puglia should speak with a professional at LUX-camp for further assistance. Why Should My Family Opt for a Luxury Camping Site in Puglia? Warm and dry summers known for their spectacular sunshine. The ability to enjoy countless outdoor and maritime activities throughout the year. 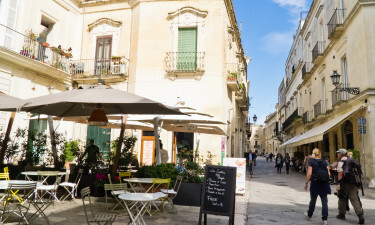 Puglia boasts a size of nearly 20,000 square kilometres and is currently home to approximately 4.1 million inhabitants. Its history is known to stretch back to pre-Roman times and the Greek civilisation. This is echoed in its many ruins and historic places of interest. Many visitors are able to enjoy a breathtaking camping holiday thanks to these sights as well as the ability to bathe in the cerulean blue waters of the Mediterranean Sea. 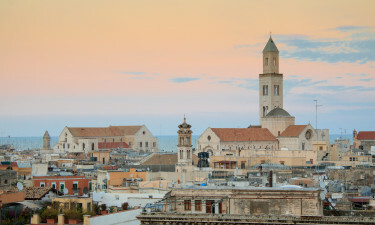 Puglia has sometimes even been called the "Maldives of the Mediterranean". A handful of these beaches have been awarded the coveted Blue Flag status due to the cleanliness of their waters. 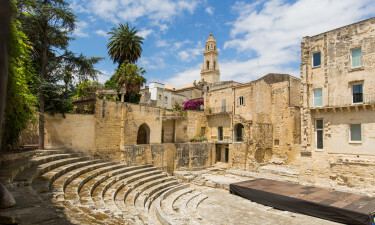 There are a number of family-friendly attractions to be found here such as the massive Zoosafari Fasanolandia, the Teatro Petruzelli and San Nicloa Stadium. The opportunity to view nature is just as worthwhile to mention. Private coves such as Gargano Bay are ideal spots for a family picnic or to enjoy the welcoming sun. Lovers of nature will certainly appreciate large natural parks such as the Foresta di Mercadante. Visiting the quaint houses found within Itria Valley is likewise a great way to appreciate the diverse history of this region. Camping luxury and culture are only moments away. Most luxury camping resorts will provide one-of-a-kind opportunities to enjoy local cuisine. As the diet is primarily Mediterranean, dishes rich in fish, rice and pasta abound. Other unique delicacies include the taralli (a small pretzel), frisella (a crunchy dry bread) and a sweet pastry known as a zeppole. Red wines such as the Primittivo di Mandoria are particularly succulent due to the rich soils found within this region. As with many other parts of Italy, the locals here are warm and inviting; they appreciate tourists and tend to go out of their way to make certain that all needs are met.